Margita Thompson is currently Vice President of Public Affairs for California Resources Corporation (CRC), the state’s largest independent oil and natural gas producer. Margita focuses on driving unexpected community engagement that translates to increased stakeholder credibility and business impact. Margita is especially skilled at listening and anticipating trends to uncover the common thread that can unite diverse stakeholders toward a common goal. Before CRC, Thompson was Vice President, External Communications for Disney Consumer Products (DCP) leading PR teams spanning Disney Publishing, The Disney Stores, and DCP Licensing - the world's largest licensor. While at Disney, Thompson brought diverse women’s voices inside DCP to maintain the relevance of the “princess” franchise in the market. Prior, she was Vice President for Corporate Communications and Latino Programs Officer at Health Net Inc. During her time there, she increased Latino health plan membership through a multi-generational, whole-household strategy. Before working in the private sector, Margita served in government and the media. She was Press Secretary for California Governor, Arnold Schwarzenegger. In that role, she managed a global media onslaught that was the equivalent of a startup for the then sixth-largest economy in the world. Prior to joining the Schwarzenegger administration, Margita served as Political Producer for CNN’s then highest-rated show, Larry King Live. Before CNN, Margita worked at the White House in the Office of the Vice President as Press Secretary to Mrs. Lynne Cheney and served as California Press Secretary of Bush for President during the 2000 election. In 2010, Margita received an Emmy as a political analyst with the KCAL/CBS team, for election night coverage. 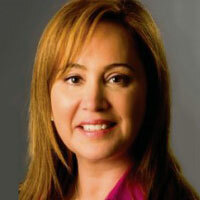 Additionally, her leadership of Health Net’s Latino Initiative was profiled in Hispanic Executive. She is currently a fellow at USC’s Jesse M. Unruh Institute of Politics and on the Board of Directors for CORO Southern California, the California Latino Economic Institute, and The LAGRANT Foundation. Margita grew up as an only child, with half of her family in San Diego and the other half in Tijuana - she crossed the border at least once a week until she left for UC Berkeley, where she earned her Bachelor of Arts in Political Science. She then went on to complete a Master of Public Policy at Harvard University’s John F. Kennedy School of Government, where she was named the Parker Montgomery Fellow for distinguished leadership in California. When she is not working, Margita can be found deep in a historical fiction novel, spending time with her two Cavalier King Charles Spaniels - Max and Carlie, learning more about football (a new interest), or sharing a laugh with friends over a good meal.